A couple weeks ago, Cy-Fair's Women's Team came for a week to spend time with the women of the Cofradía church, do Bible studies, and impact lives. They did that and more! 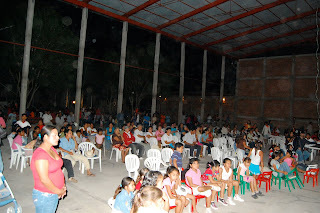 This year was the best turnout of women from here in Cofradía, Santa Fé, Arrayanes, and Ruiz. The women started their ministry on Sunday afternoon traveling up into the hills to the Cora Indian village Mojocuautla--you said that wrong lol. 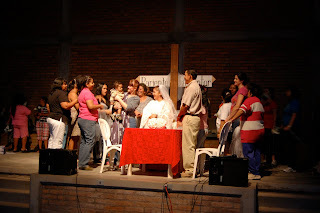 In Mojocuautla, they gave a speach to the women of the town explaining to them some first aid tips that many times are looked over by the local clinics. The crowd of women payed close attention as some of this was new information. Great job ladies! Monday through Wednesday were very similar as they shared Bible Studies from the Book of Ruth in the morning and after having lunch with the locals, they had activities in the evenings. Some cut hair, some gave voice lessons, etc. 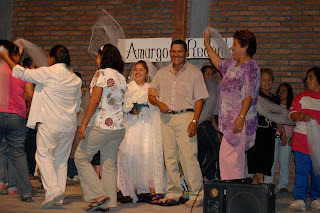 Each day was spent in a different town; Arrayanes, Cofradía, and Santa Fé. All of their activities led up to one big event on Thursday night that was to take place in the new church facilities...a drama of the story of Ruth. After rehearsing a couple times in the morning, everyone was ready. Geña and I narrated as everyone else acted out the story. There were literally hundreds of people in attendance as they got to watch the story of Ruth unfold, hear an explanation from Pastor Gollo, have an opportunity to receive Christ, and to top it all off...eat hot dogs. All 410 hot dogs were cooked and served, only a few had seconds...there was a lot of people! 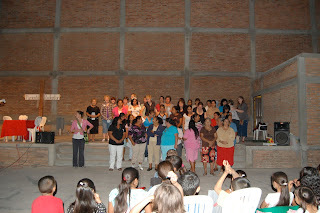 In the end, all the participating women sang a song that they had prepared during the week "Testify to Love." A tremendous event! What a way to reach people. Thank you for praying for the team while they were here. 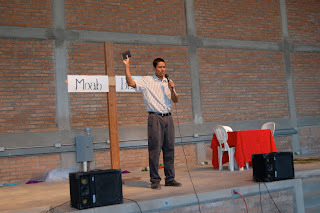 Pastor Gollo opening up in prayer. 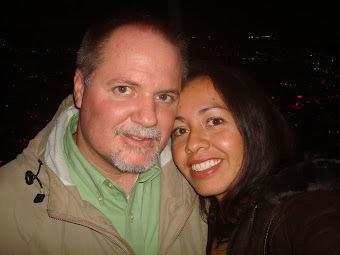 Ruth (Mari) and Boaz (Luis) getting married. The women of the village come to celebrate with them. The final song as the women closed. Did I say there were lots of people?